Dr. Michael R. Anderson was named President of UCSF Benioff Children's Hospitals and Senior Vice President, Children's Services for UCSF Health in December 2016. Dr. Anderson enjoys national stature as a sought-after authority on children’s health policy, pediatric disaster preparedness, system quality and physician workforce. 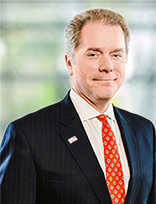 As President George W. Bush’s appointee, he served as Vice Chair of the National Commission on Children and Disasters. He has testified before the U.S. Senate and the President’s Commission on Bioethics. 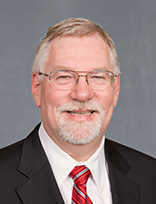 He has chaired an Institute of Medicine Committee on Pediatric Disaster Response and Recovery and is a consultant to the Centers for Disease Control and Prevention and the U.S. Department of Health and Human Services’ (HHS) National Disaster Medical System. In 2014, Dr. Anderson was appointed by the Obama Administration to chair the National Advisory Committee on Children and Disasters at HHS. He has served on three national committees for the American Academy of Pediatrics and chaired its Committee on Pediatric Workforce. Dr. Anderson earned his undergraduate degree from John Carroll University and his medical degree from Case Western Reserve University School of Medicine. He completed his pediatric residency at the Children’s Hospital of Michigan, and a fellowship in Pediatric Critical Care at UH Rainbow Babies & Children’s Hospital. In 2013, he earned an MBA in health care administration at the Kent State University School of Business. A board-certified pediatrician and neonatologist, Dr. Durand has been with Children’s Oakland’s Medical Staff since 1984, most recently serving as the Director of Neonatology. Children’s Oakland operates a 39-bed Level IV neonatal intensive care unit (NICU) delivering highly-specialized intensive care to critically ill and premature infants. As Chief Medical Officer, Dr. Durand will lead Children’s Oakland’s hospital-based physicians to integrate clinical care, research, education, and community service activities at the 100-year-old, not-for-profit pediatric medical center. 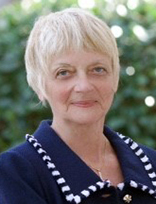 Dr. Durand will continue to develop Children’s Oakland’s affiliations and collaborations with other hospitals, community-based programs, and universities, and be instrumental in the ongoing development of clinical programs and translational research at the hospital’s research arm, Children’s Hospital Oakland Research Institute (CHORI). A renowned researcher, Dr. Durand is a Clinical Scientist at CHORI. He has authored multiple research publications and book chapters. Dr. Durand’s research activities include the prevention of lung injury in critically ill infants and therapies to prevent brain injury in newborn infants. Dr. Durand is currently funded by the Department of the Army for a study exploring the role of clinical decision support in fluid and nutrition management of NICU patients, and the management of sepsis and shock in pediatric intensive care patients. In addition to his clinical and research work, Dr. Durand has been a state and national leader in collaborative neonatal quality improvement, including work with the California Perinatal Quality Care Collaborative (CPQCC), and as a founding member of the Children’s Hospitals Neonatal Consortium (CHNC), a national benchmarking and quality improvement effort. 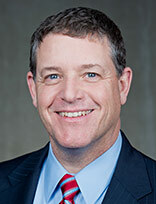 Dr. Durand is a graduate of the University of San Francisco and the Medical College of Wisconsin. Dr. Durand completed his medical residency at Children’s Hospital Oakland and his fellowship in neonatology at Mt. Zion Hospital Medical Center in San Francisco. Robert Fries joined our leadership team in December 2015 as Vice President, Children’s Services Finance and Chief Financial Officer of UCSF Benioff Children’s Hospitals. In this role, Robert has responsibility for creating a unified management structure and achieving strategic, operational and financial alignment between UCSF Benioff Children’s Hospital Oakland and UCSF Benioff Children’s Hospital San Francisco. Robert brings 25 years of experience in healthcare administration, budget, strategic financial planning, decision support and mergers and acquisitions supporting a variety of large, complex, multi-campus health systems and academic medical centers. Most recently, Robert was Vice President, Strategic Financial Planning and Decision Support for SCL Health, a faith-based health system headquartered in Denver, Colorado. Robert earned a Master of Health Administration, Concentration in Finance and Strategy, from St. Louis University, St. Louis, Missouri and a Bachelor’s of Science, Economics, from the University of Wisconsin at Madison, Madison, Wisconsin. Erin Hickey joined our leadership team as the Assistant Vice Chancellor of Development for Children’s Health in 2016. In this position, she is responsible for designing and directing fundraising strategies for UCSF Benioff Children’s Hospitals in Oakland and San Francisco, and the entire Children’s Health enterprise. Erin has worked with UCSF since 2007 as the lead consultant for the Campaign for the UCSF Medical Center at Mission Bay, which includes UCSF Benioff Children’s Hospital San Francisco. In 2014, following the affiliation between UCSF and Children’s Hospital Oakland, she was named Interim Executive Director of Development for UCSF Medical Center. Erin is a graduate of the University of Oregon with a Bachelor of Science degree in Journalism. Bertram Lubin, MD joined Children’s Hospital & Research Center Oakland in 1973 as Chief of Hematology/Oncology. In 1984 he became the Director of Medical Research. Under his leadership, basic, clinical and translational research activities expanded. He transformed the small research program into a highly successful enterprise called Children’s Hospital Oakland Research Institute (CHORI). Dr. Lubin has served on numerous National Institutes of Health (NIH) committees, community-based health consortia, and university panels across the United States. He has secured and directed NIH grants for over 40 years in a variety of areas. His research has focused on studies of red cell membrane structure in normal and pathologic states, clinical and basic research related to sickle cell anemia, public health initiatives related to newborn screening for hemoglobin disorders and national cord blood banking programs. The Hematology/Oncology department grew under his leadership and is recognized nationally and internationally for its outstanding care of children with malignancies, sickle cell anemia and thalassemia, and hemophilia. In 2009 Dr. Lubin was chosen to serve as the President & Chief Executive Officer of what became UCSF Benioff Children’s Hospital Oakland, until his appointment by the University of California San Francisco as Associate Dean of Children’s Health in 2016. Dr. Lubin graduated from the University of Pittsburgh Medical School, completed a residency in pediatrics at the Philadelphia Children’s Hospital, subspecialty training at Boston Children’s Hospital and was on the faculty of the University of Pennsylvania as an Associate Professor for six years before his move to Children’s. 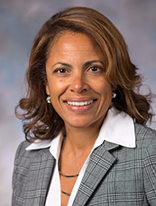 Jamie C. Phillips is the Chief Operating Officer at UCSF Benioff Children's Hospitals. She has extensive years of diverse health care administration experiences with leading-edge health care delivery systems and organizations, including Nationwide Children’s Hospital, Trinity Health System, Novi, Michigan, Cincinnati Children’s Medical Center and OhioHealth Corporation. 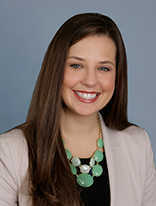 Mrs. Phillips earned her Master’s Degree in Healthcare Administration from The Ohio State University in Columbus, Ohio. She earned a Bachelor of Science from Ohio University in Healthcare Administration with minor in Business Administration. Jamie Phillips serves as an adjunct professor in Health Administration at Franklin University. Mrs. Phillips is an active fellow with American College of Healthcare Executives. Jamie completed the Columbus United Way Project Diversity and Greater Cincinnati Urban League Leadership Development Programs. She was a recipient of the YMCA Black Achiever Award in Cincinnati, Ohio and Ohio Diversity and Leadership Multicultural Leadership Award. She served as a mentor for the Big Brother and Big Sister School-Based Program. Ms.Phillips is a member of Alpha Kappa Alpha Sorority, Inc.
Nancy Shibata has been a member of the Children’s Hospital staff since joining the organization as a new nursing graduate in 1979. She has served in a variety of roles throughout her career at Children’s, including ten years of progressive leadership experience in the Pediatric Intensive Care Unit and ten years as a Director of Ambulatory Nursing and Ancillary Services. In 2003, she was named the Vice President of Nursing and has continued to assume new responsibilities in the executive administration arena, leading to her current role of Senior Vice President of Operations & Chief Nursing Officer. Also, Nancy is the executive sponsor of the Quality Built- In Program, the organization’s leadership management program modeled after the Toyota Management System. Nancy attended the University of California, Berkeley for undergraduate education, followed by nursing school at the University of California, San Francisco. In 1989, she completed her Master’s Degree in Nursing Administration and Family Health from the University of San Francisco. Nancy is a graduate of the California Healthcare Executive Fellowship Program. Nancy is a member of the American Organization of Nurse Executives, California Children’s Hospitals Association, Children’s Hospital Association, and advisory boards for several Schools of Nursing. 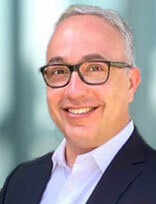 George Weiss is Vice President of Ambulatory Services for Benioff Children’s Hospitals. George brings deep experience in pediatric health including clinical operations, process improvement, business development, fundraising and strategic planning. George's career spans sales and service industries, community organizing, public health research and healthcare administration. He worked at Children's Hospital Los Angeles for the previous17 years, where he managed multiple behavioral and intervention research projects, served as the Division Administrator for CHLA’s Divisions of Neurology, Psychiatry and Research on Children Youth and Families, and as the Administrative Director for CHLA’s Center for Cancer and Blood Diseases. Most recently, he served as the first Executive Director of the CHLA Health Network, the only pediatrician-led clinically integrated network in Los Angeles. George has a Liberal Arts BA from Pomona College and a Master of Health Administration degree from the University of Southern California. Phyllis Weiss was the Manager of Employee & Labor Relations at UCSF Benioff Children’s Hospital Oakland from 1988-2001, returning as the Vice President in 2016. Since her previous tenure at Children’s, Phyllis has served at San Leandro Hospital, Eden Medical Center, as well as Alameda Hospital. Phyllis’s predominant experience is in labor relations, labor contract negotiations, and grievance and arbitration resolution. She also serves as a consultant to management on the development of the senior leadership team, employee relations issues and acquisitions.